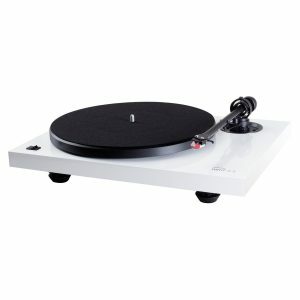 You are here: Home / Turntable Reviews / What Are the Top Turntables Under $500? We were fooled. 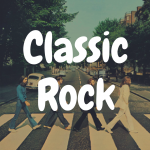 People once enjoyed recorded music on a thing called a turntable, usually hooked up with a receiver and some speakers or built right into your stereo that also housed a radio. Little did we know then that vinyl records were the closest thing to the masters that the music was actually recorded on. But over time, technology and its pushers sold us a bill of goods, first to try eight-track players, then cassettes, then CDs and MP3s. After all, these things were easier to carry around than a vinyl record, which by the way you had to protect from the sun, liquids and anything that could scratch it. 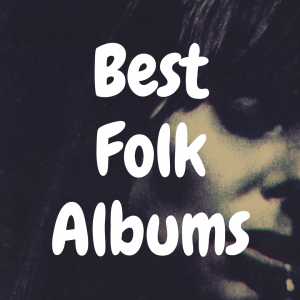 But, as in many things when it comes to life in general, the art of listening to music is coming back around to its meager beginnings. Call it a record renaissance. 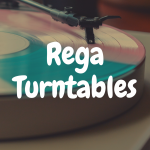 And because of that, in this article, we’re going to not only provide you with five excellent turntables that can be had for under $500, we’ll also reveal why they made our top five list and why you should consider purchasing them. On top of that, we’ll also go into some detail about how you should go about selecting your turntable, how you can best protect your records, how best to identify a quality table, and much more. Stylus: It’s the needle that rests against the record. The best kind is made from diamond. Sapphires are also acceptable. Tone Arm and the Cartridge: The tone arm extends like a bar and holds the stylus, and with the cartridge, it’s what produces the sound. To be even more simple—this is the instrument that moves onto the record and, once the needle contacts the inner groove of the record, is directly responsible for the sound you hear. Platter: The platter is the circular base that you sit your vinyl record on. It’s important this it is strong and secure so that it can hold the record steady. You want a strong, heavy platter because the weight will cause less vibration to your vinyl when it spins, allowing you to get more absorbed in the music (and not hear vibration noises through your speakers). There are some exceptions here, however. For example, an acrylic platter can sometimes be purchased to replace the platter you currently own. This platter can often weigh less than the platter that come with other sub-$500 turntables. The advantage here, however, is that not only does it look visually pleasing, but (aside from a few sound benefits) allows you to not have to use a felt mat. On most platters, a felt mat sits on top of the platter and, when you place your record onto the mat, can cause some static. With an acrylic platter, you can eliminate the felt mat entirely and, to a large degree, remove a lot of static in the process. 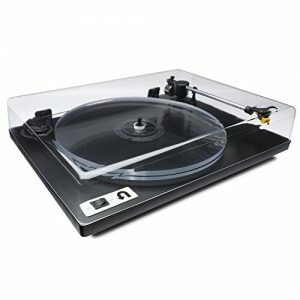 What to Look For in a Turntable? To get the best value and sound, you have to be ready to ask questions. And in order to ask the right questions, you must know what the key factors are when trying to find a quality turntable in the sub-$500 category. • Listen carefully. You shouldn’t hear a jiggling sound or feel movement when you pull on the tone arm. It should be solid. • Make sure that the main bearing that the platter (where you place the record you wish to play) is made of high quality material. The tolerance of the main bearing should be one/one thousandths of an inch in clearance. • The platter should be running true – there should be no wobble. 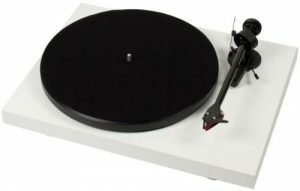 • The turntable should also have a solid design to prevent acoustic feedback. • Belt driven turntables are a better option than direct drive most of the time because on a direct, the motor is sitting directly underneath the platter and it will pick up vibrations from the motor. • Don’t be fooled and let a salesperson sell you an automatic. Most reputable manufacturers don’t even make them anymore. The best turntables are stand-alone tables. You will need a receiver or integrated amp that has phono inputs. If your unit does not have phono inputs, there are outboard phono preamps that connect to an auxiliary input on your unit/receiver/integrated amp. Turntables that come in a package with a radio, CD player and cassette, such as those made by Encore or Crosley, are basically toys. It’s not that you can’t get quality use from them, but if you’re serious about playing vinyl, then you’d be better served spending a bit more money to get something that’s higher quality. With that said, if funds are low, you could certainly consider a Crosley player that features built-in speakers. But just know that you might be upgrading from that table within a year. Protecting the vinyl itself is important as well, so it’s smart to keep that you keep that in mind when you purchase a turntable. A high quality unit is important, and that especially includes the tone arm and the cartridge. The cartridge must have a good stylus and it needs to be aligned properly. Your records need to be clean and the diamond stylus also needs to be cleaned after each side of a record is played. 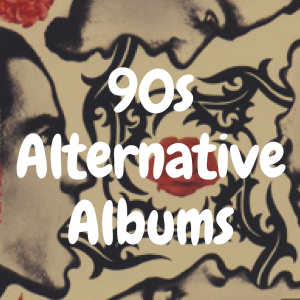 You can use everything from a simple paint brush to a record-cleaning machine. These machines can cost about $200, but if you look at the value of your record collection, that is a small price to pay. Indeed, a clean record is perfectly quiet – you won’t hear any pops or cracking or clicks unless the record is damaged. If you hear noise, there’s most likely dirt in the groove walls. And, the least amount of dirt in the groove walls ensures the longevity of the needle as well. 1. The Rega RP1: We found a brand new one runs about $445. It’s made in the U.K., but it can be found online or in some stores. Make sure, however, that the store is an authorized dealer, especially if you are a first-time turntable buyer. 2. 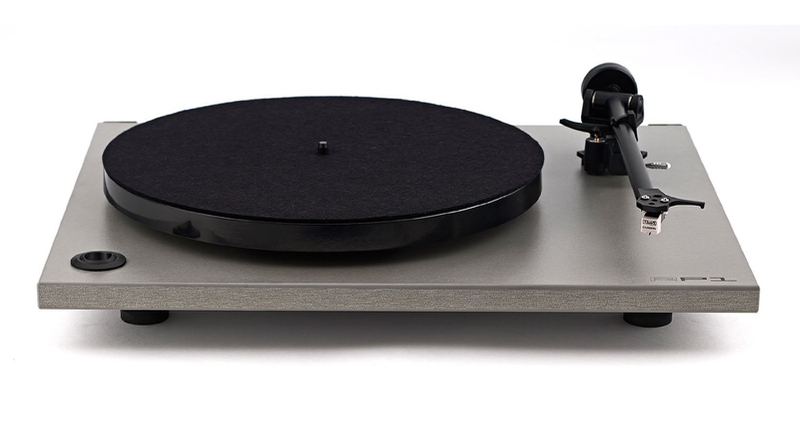 The Pro-Ject Debut Carbon: This one runs about $400. It is belt driven and actually comes in different colors. The Pro-Ject comes with a carbon tonearm, which effectively reduces resonance so that you receive as much pure music as possible. The platter is also heavier than most, which is good since it holds the vinyl more securely. 3. Music Hall MMF 2.2: This baby runs about $450 and comes in a beautiful package that is “shiny and pretty” at the same time it is simplistic. Like the Pro-Ject, it comes in different colors, including Ferrari Red. It boasts a stainless steel and bronze bearing assembly for the ultimate in steadiness. It also comes with a cartridge. 4. 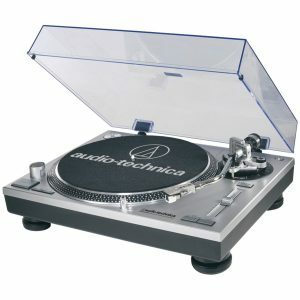 Audio Technica AT-LP120: This table can be had for less than $300. This turntable has been around for decades, and although it’s not as pricey (and maybe not as pretty), it still sounds good. It also has some convenient extras, including a USB output (so you can record your vinyl records onto a digital file). It also plays at the following speeds: 33 1/3, 45 and 78 RPM. 5. U-Turn Audio Orbit Plus: This is a relative newcomer to the turntable tour, but nonetheless, users have been raving about its quality at about $300. It comes with a unipivot tone arm, a high-end cartridge, it’s belt-driven and it plays both 45s and 33 1/3s. It’s made in Boston. Another option is to shop garage sales, eBay or online for used equipment. Some of the turntables built in the 70s and 80s and are considered vintage, but they can definitely produce quality sound. Look especially for vintage tables made by Technis or Thorens. Who knows? 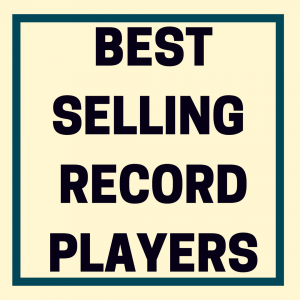 You may find quality vintage turntables online to play your vintage records on. 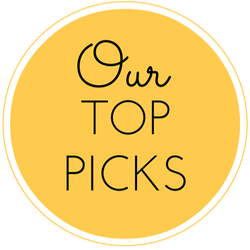 It’s very important that you gain some knowledge before you go out there shopping in stores or online, so don’t be afraid to explore some of the sites that can answer questions and provide info without pressuring you to buy. 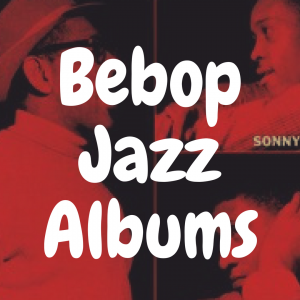 For example, Vinyl Engine has reviews and info as well as a forum on turntables and vinyl. Another good source is the Vinyl Collective where you can actually communicate with other turntable and vinyl users. What are the Best Turntables Under $300? 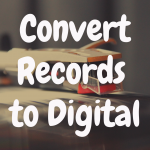 How Do I Convert Vinyl to CD?